Pause a moment! 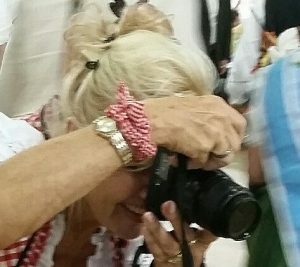 Can you guess who is hiding behind the camera, the photographer present at functions of the Sportclub and the Oktoberfest for over 11 years? Of course you do, It’s Helga Pearson. She not only diligently takes picture but after the event selects the best ones, crops and resizes, sorts and uploads pictures to the websites for you to enjoy. Helga, thank you for your enthusiasm and all your hard work. To view please click on a TAB. Under each Tab you will find a brief description of the type of event. Albums are sorted by year. Click on an album. Click on a picture. You now can view the pictures in a slideshow. The “Kappenfest” is a typical German Karneval (Fasching) or as it is known in parts of the USA a Mardi Gras Party. 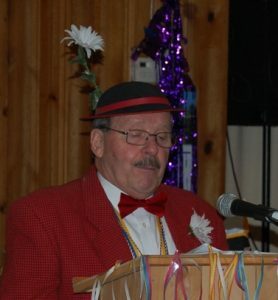 The program includes traditional German stand up comedy, Sing along music, and after that dance music to “live” German and American dance music. German beer, wine, soft drinks and food are served at this Event. This is a typical family party, with coffee and cake, German Christmas music and a visit by Santa Claus for the Children. All Children receive goodies from Santa. This is an event similar to the Kappenfest. We feature good German stand up comedy, a life German Band, Prince and Princess Karneval, good food, German beer, wine, soft drinks and snacks. A typical picnic with German Music, a lot of food and Bratwurst, and drinks. In August we have our Traditional Summer Night Party at the grounds of Sonny Bourne, a beautiful Indoor/outdoor facility. This party is a combined event of the DSC and the Gesangverein Virginia. Everyone can enjoy good entertainment, our famous pork roast, German beer, wine and soft drinks.